Fort Myers Beach is defined by its miles and miles of crystal-white beaches and thick Florida foliage. It creates a tropical paradise worth spending many (many) days in. You can access most of the area by bike. Estero Blvd carries you along the bulk of Estero Island, with Bowditch Point Park on the very tip northern point and down to Lovers Key State Park, an intimate and incredible wetland escape. Here are some other great parks to visit. Lynn Hall Beach Park is a sprawling sandy escape with low crowds and glorious views. Bowditch Point Park has scenic trails and a quiet swimming beach known for snorkeling and dolphin. Crescent Beach Family Park has a bold view of the bridge and a spacious picnic area warm and welcoming for families. Lovers State Key Park, past the southern tip of the island, is over 700 acres of pure Florida, featuring boardwalks through the mangroves and dense manatee populations. You can find riveting natural sights and sounds all over, from the canals of the island’s interior to its sunny and sandy coastal fringes. 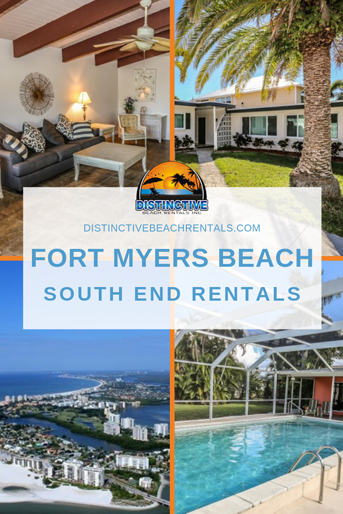 Our Fort Myers Beach vacation rentals provide you first-rate access to Fort Myers Beach. You can visit one of the local natural sights to see wildlife, but you can also sit by the pool with a drink and let nature come to you. You may see a dolphin soaring past your window or a bald eagle resting in the tall trees outside the rental. Don’t miss out on a real vacation experience by settling for less. Make the most of your vacation with one of our beachfront condos Fort Myers Beach. See Florida how it should be- tranquil, beautiful, and filled with life.